Did you know that you can now get your Dubai Visa and cost-effective services like ‘OK to Board’ at Musafir.com India? Oh, but first, do you know all about OK to Board? Read on to know more. Before travelling to UAE (Dubai/Sharjah/Abu Dhabi), Kuwait, Bahrain, Muscat, Oman and Qatar, Indian citizens need more than just a visa. It is the ‘OK to Board’ – an airline requirement without which the passengers won’t be permitted to board the flight to the above mentioned destinations. There are many doubts, queries and misconceptions about OK to Board among Indian travellers. Thus, here we jot down all the relevant information about OK to Board to provide a crystal-clear knowledge on this subject. What is an OK to Board? Once you receive a valid visa to the above mentioned places, you have to send your visa copy to the airline you have booked your flight ticket with. After rechecking your visa, the airline approves your ticket and marks your flight PNR as OK to Board. Please note that you cannot board a flight if your PNR is not reflecting OK to Board. Thus, Musafir.com India strongly recommends all the passengers travelling to the above mentioned places to check their OK to Board status with the respective airline at least 48 hours prior to departure. Citizens of which countries require OK to Board (OTB)? Citizens of India, Sri Lanka, Bangladesh and Pakistan need OK to Board approval when they travel from their respective country of citizenship. Which categories of Indian Passport holders travelling to the UAE require OK To Board? Passengers travelling on Indigo Airlines, Air India, Air India Express, Emirates and Etihad with ECR (Emigration Check Required) passport. Passengers travelling with a print-out of Labour & Work e-visa. Passenger travelling on Spice Jet, Air Arabia, Fly Dubai, Kuwait Airways, Gulf Air, Oman Air, SriLankan Airlines. Which categories of Indian Passport holders travelling to the UAE do not require OK To Board? Travellers holding Resident Permit or passport stamped with Resident Visa. Passengers using ‘Visa On Arrival’ facility. Passengers travelling on Indigo Airlines, Air India, Air India Express, Emirates and Etihad with ECNR (Emigration Check Not Required) passport. Passenger travelling on Jet Air Airways. Which categories of Indian Passport holders travelling to Qatar require OK To Board? Passengers travelling on Indigo Airlines, Air India, Air India Express with ECR (Emigration Check Required) passport. All passenger travelling on Oman Air, Spice Jet Airline, SriLankan Airlines. Which categories of Indian Passport holders travelling to Qatar do not require OK To Board? Passengers travelling on Indigo Airlines, Air India, Air India Express with ECNR (Emigration Check Not Required) passport. Passenger travelling on Jet Airways, Qatar Airways. What about OK To Board for Indian Passport Holders travelling to Oman? 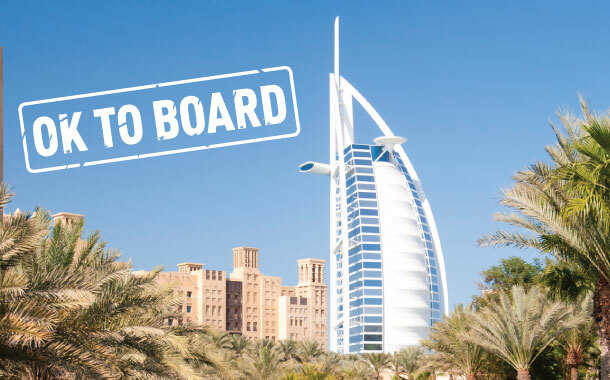 You do not require OK to Board if you are holding an original visa (received via post or courier from Oman). In case, you are holding a photo copy of the visa, the visa sponsor will have to deposit the original visa at the Muscat Airport and get OK To Board from the respective airline office in Muscat. Why is OK to Board so important? Due to an increase in fake visas, many Indian passengers were deported back to India in the past. To minimize the fake visa issues, airlines flying to the above mentioned destinations and the sponsors started re-checking traveller’s visas and the return airline ticket before the departure to these places. How can I get OK to Board? You can simply connect with Musafir.com India visa expert team and get your visa along with an OK to Board. You have to submit all the required documents for applying for the visa. Once approved, your visa copy along with your return flight tickets will be sent directly to the respective airline to get OK to Board in your PNR. The airline will rectify your visa and flight tickets and issue OK to Board in your PNR. What are the documents required for OK to Board? When should I apply for OK to Board? Once you receive your visa from Musafir.com India, simply send us your return flight ticket copy. We will connect with the airline and get the OK to Board. Please ensure that you send all the required documents at least 3 days prior to your scheduled flight to allow the respective airline enough time to update OK to Board in your PNR. How can I know about my status on OK to Board? Once Musafir.com India team gets an update from the airline on OK to Board status, our visa expert will call you and update you on the same. However, you can also call the respective airline directly to reconfirm your OK to Board status 48 hours prior to your scheduled flight departure. What if my PNR doesn’t reflect OK to Board? If your flight ticket is not showing an OK to Board than the airline has the authority to deny entry on the aircraft. In such cases, please contact our visa expert team at 096 9999 1010 to get this problem solved immediately. Which airlines require OK to Board? Air India; if you are holding ECR (Emigration Check Required) passport. Air India Express; if you are holding ECR (Emigration Check Required) passport. Indigo; if you are holding ECR (Emigration Check Required) passport. Emirates; if you are holding ECR (Emigration Check Required) passport. Spice Jet; if you are holding ECR (Emigration Check Required) passport. Air Arabia; if you are holding ECR (Emigration Check Required) passport. Gulf Air; if you are holding ECR (Emigration Check Required) passport. Oman Air; OTB is applicable in all cases. Qatar Airways; if you are holding ECR (Emigration Check Required) passport. Kuwait Airways; if you are holding ECR (Emigration Check Required) passport. Sri Lankan Air; if you are holding ECR (Emigration Check Required) passport. Etihad Airways; if you are holding ECR (Emigration Check Required) passport. Hahn Air; if you are holding ECR (Emigration Check Required) passport. Flydubai; if you are holding ECR (Emigration Check Required) passport. Jet Airways; if you are travelling from Trivandrum, Cochin, Calicut. However there are exemptions available for few airlines, airports and for those who hold an ECNR ((Emigration Check Not Required) passport. How much time do airlines take to update OK To Board message? Airlines take minimum 24 hrs to 48 hrs to update OK To Board message. OK To Board requirement may change as per the airline rules/discretion. In case, you are travelling for employment/ hold long-term visa and an ECR passport, Indian Emigration will not allow you to travel, unless you obtain POE clearance or ECNR passport.